Welcome to GEM International Inc., where we offer a few decades of experience in the Natural Stone industry. Our team offers a deep knowledge of all of the characteristics of various raw materials, and how to modify them to your design needs. Our trained experts understand the harmonies which must coexist between your stone selection and your intended designs. Our natural stones are imported from a wide variety of sources including: Italy, Germany, France, Spain, Portugal, Greece, Canada, India and Brazil. Here at GEM International Inc., we focus on you, the customer. We strive to make the process of stone selection as simple and enjoyable as possible. Our experienced team will help you with everything from slabs and tiles to cut-to-size forms for any type of project. We stock a variety of marbles, granites and limestones. We invite you to come visit us, and experience GEM International Inc's products and personal service first hand. West LA's Contemporary Tile and Stone Showroom - Best of Houzz! Sophene Stone has been proudly providing custom stone fabrication services for over 30 years. We service Los Angeles and the surrounding areas. We work directly with Home Owners, General Contractors, Interior Designers and Architects. Our past custom stone fabrication projects include some of the most luxurious estates in Los Angeles. We look forward to working with you! LA's Trusted Tile & Countertop Professionals Best of Houzz 2018! Westside Tile and Stone, Inc. features exquisite tile and stone materials of the utmost quality to the greater Los Angeles area. You will find that our team of experienced salespeople and in-house designers will help your vision become a reality. 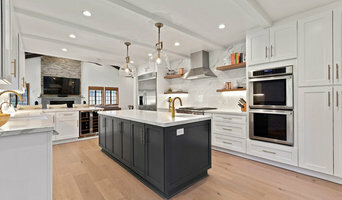 From devising your design, to helping you pick out the right slab for your home, here at Westside Tile and Stone, Inc. we are committed to providing our customers with the necessary tools and insight to fulfill their designer dreams. 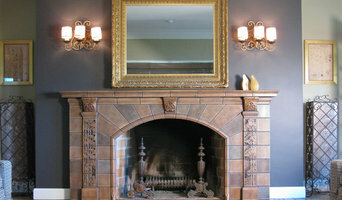 Boulevard Tile and Stone Inc.
Artisan tile studio showcasing american custom tile manufacturers. In addition to basic surfaces, many Bel Air, CA tile, stone and countertop contractors can create and install murals and mosaics, as well as add decorative edge treatments to countertops. They also repair or replace surfaces in the event of chips, cracks, stains or other damage. Many tile, stone and countertop professionals also install shower pans, radiant-heat flooring systems and other common components of surfacing jobs, often working in tandem with Bel Air, CA plumbers or other professionals. Here are some related professionals and vendors to complement the work of tile, stone & countertops: Interior Designers & Decorators, Architects & Building Designers, General Contractors, Kitchen & Bath Designers, Design-Build Firms. Find a tile, stone and countertop contractor on Houzz. 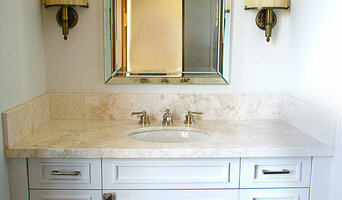 Narrow your search in the Professionals section of the website to Bel Air, CA tile, stone and countertops. You can also look through Bel Air, CA photos to find tile, stone and countertop projects you like, then contact the contractor who worked on it.